Commission for the chamber of commerce, Västsvenska handelskammaren, celebrating its 350 year anniversary. The mission was to document a vision seminar. 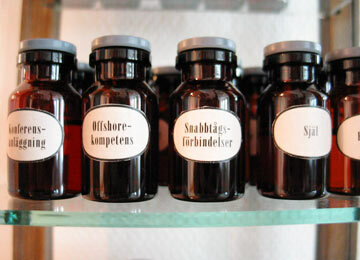 The labels on the bottles are made from words gathered at the seminar, where the participants were encouraged to imagine West Sweden in 2030.